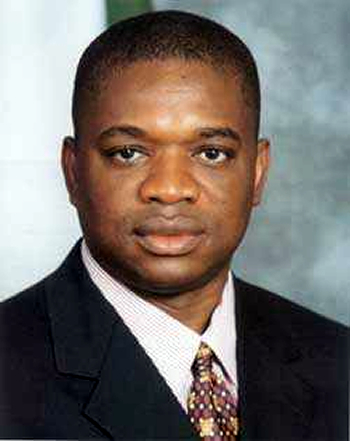 Yesterday Wednesday Oct 5th, armed men stormed the Victoria Island Lagos home of former Abia State Gov, Orji Uzor Kalu. The robbers were said to have trailed three of Kalu's aides who had gone to the bank to withdraw money late yesterday afternoon. On getting back home, the robbers accosted the men, stole the money and killed one of the men, a driver, Michael Ogbonna. May he RIP! Oh my God, I was with this guy, Ogbonna when I came to visit Dr.Orji Uzor Kalu sometime in 2010 in his VI home. We were also together at Awka in Anambra state during the Anambra Governorship election which my best friend, Hon. Uche Ekwunife (Iyon) was a candidate. This is why I always advice Nigerias never to believe The police/government in whatever promise they dish out. The government will always mislead us except you are wise enough to take care of your security. Lagos police on Wednesday assured Lagosians of crime-free EMBER months this year but appealed to the masses for understanding to enable the security agencies carry out their duties effectively. What a fake promise? Two days after the lies, Unidentified gunmen shot and killed an Assistant Superintendent of Police, ASP, John Ibizugbe and his 23-year-old daughter, Bola Ibizugbe. They were killed in the early hours of Monday, 3 October in the cop’s home at Alagbado. ASP Ibizugbe was in charge of the Anti-Robbery Squad at Area ‘F’ Ikeja, Lagos, southwest Nigeria. The State’s Deputy Commissioner of Police in charge of operations, Mr. Tunde Sobulo, who gave the assurance after a meeting of the State’s Security Council, said the Security agencies in the state have put some measures in place to combat the criminals but added that some of the measures may present a little inconvenience to the people. What a lie? I urge all Nigerias to take care of their personal security and forget the lies of the police and government. They are just out to mislead and misinform people. To the point they claim that crime has redused in lagos and Nigeria in general. What a lie? Linda, the sentence should have been,"On getting back home, the robbers accosted them and stole Abia state treasury money". I sympathize with the family of the deceased. Nigerians are desperate, they are looking to take what those corrupt politicians have stolen from them yr after yr.
What ever happened to Electronic bank Transfer, no matter how large the amount is, this can be done without walking into a bank. Cashless Society is the key. God grant the families of the dead man the strength to bear the loss. ROBBERS PLEASE FOCUS ON CORRUPT POLITICIANS LIKE OUK & CO.
May his soul rest in perfect peace. Amen. Without sounding mean, the money the robbers stole will not cause a dent in OUK's pocket. The death though, is regrettable. Since the former commissioner of Police in lagos was removed,the security of lives & property is now a different ball game.Armed Robbers now operate with impunity.The IG should look for a competent Compol & post to lagos,the guy here now is totally clueless.